If you’re a student attending the University of Glasgow you are very likely, at some point, to need somewhere safe to store your possessions. 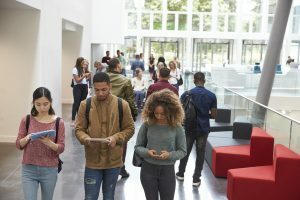 It might be for a short time during holidays or you may have finished your studying and are looking for a job in another area or abroad, requiring longer term storage until you are settled. We offer a very simple and affordable student storage solution in Glasgow – and it’s all in our name! We have space and can store your gear for any amount of time. What’s more, unlike many other self storage companies, we offer a mobile door-to-door service so it couldn’t be easier. 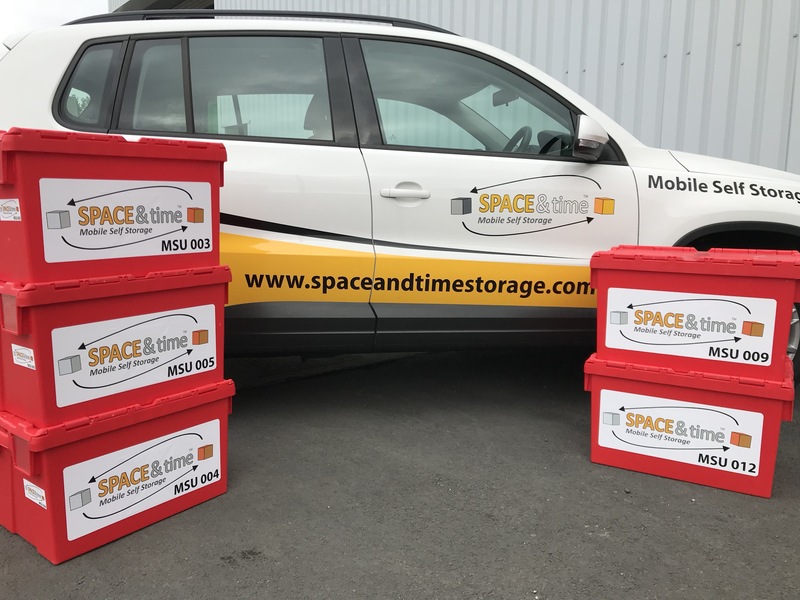 At Space & Time, we’ve got over 15 years of experience in the self storage industry and we know that having to think about where to store your belongings can be stressful. We also know that you don’t need the additional hassle of trying to arrange transport, especially if you don’t have a car and don’t therefore want to rely on family or friends being available to help. So we’ve made our student storage incredibly easy to arrange and we’ll take care of all the transport from your residential halls or home to our storage facility. Our booking system is extremely simple. First, use your smartphone, tablet or PC to navigate to our home page, then tap or click on the ‘Get Started’ button. You will be asked to select your location, which would be ‘Glasgow’ in this case. The next steps will help you complete the process, including selecting the number of boxes you want (each one measures 57x47x36cm) and the date that you’d like the boxes collected once you’ve packed them. Need some packing materials? Just let us know and we’ll add these to your order. If you’re thinking of using your own boxes, then do make sure they are robust enough and meet our guidelines for size and weight limit. You can go through all these details during the booking process and you’ll also find more information on our FAQ page. Throughout the booking process, there will be a clear tally on screen to show your charges. We keep our storage rates very competitive because we only charge storage for the number of boxes we keep for you and you’ll only pay for the time your belongings are in storage – so if you want them back a bit earlier than planned, we’ll refund the difference. As we don’t charge on the more usual basis of a minimum size ‘storage unit’ requirement but on the number of boxes you store, we are extremely flexible if you need to add some extra boxes. Unlike with other storage companies, we won’t make you upgrade to a larger, more expensive, unit for the sake of a few items. We can also store items that are too big to fit into a box, such as your bed, suitcases, TV or a bicycle. Just get in touch with the team and they’ll sort this for you and advise on any additional costs involved. You don’t want to worry about your belongings whilst you’re away having fun or job hunting, so you’ll have peace of mind knowing that they will be safe and sound with us. We are fully insured whilst in storage and during transit. Additionally, our storage facility is protected by hi-tech security measures, including alarm systems and digital CCTV. This is arranged during the booking process but we know that plans can change. Our network of UK-wide vehicles means that we can deliver anywhere in the UK and if you need us to ship your goods internationally then we can organise this for you too. All you need do is to let us know when you want your items and where – and we’ll make sure it happens. If you would like to find out more about student storage in Glasgow, please call our team on 0161 207 1260.